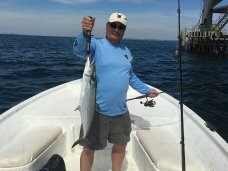 Captain Scott Roberson owner/operator of Little Lagoon Guide Service has been fishing the inland, and near coastal waterways of Alabama, and the Florida panhandle for the past 18 years. After a long and successful career in retail management Captain Scott has acquired a USCG captains license and is now sharing his knowledge and love of Saltwater sport fishing with the public full time. Captain Scott is perhaps the most versatile captain around, with a strong knowledge base from backwater fishing for Redfish, Speckled trout, Flounder, White trout, and Sheepshead, to near shore fishing for Spanish, and King mackerel, pompano, and several species of sharks to Offshore fishing for Red Snapper, Grouper, Triggerfish, and many more. 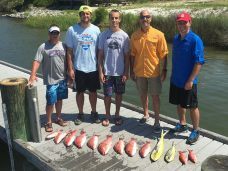 Captain Scott will do what it takes to get you the best opportunity to catch the fish you are after. From live bait to artificial bait, to fly fishing, he offers it all. 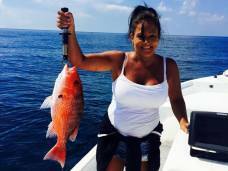 Whether you are a family looking for a fun day on the water, or a experienced angler looking to put a new notch in your belt, Little Lagoon Guide Service has an Gulf Shore adventure waiting for you.